What made you want to write YA? I like to write character focused fantasy, and the YA market likes to read character focused fantasy. We were meant to be together. Marc. He also appears to be everyone’s favourite character to read about! I write in my office, which is in my house. My desk is abnormally neat at the moment because I’ve been out of town. Normally there are far more coffee cups. 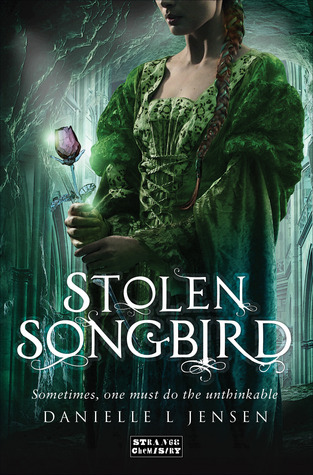 If Stolen Songbird had a theme song what would it be? Robin Constantine’s The Promise of Amazing. I’m about to start Sharon Biggs Waller’s A Mad, Wicked Folly, which I am quite excited about. I have a big box of books that arrived from Amazon (mostly debuts! ), so I have a lot of reading to do. Great interview! I love Marc :D I'll be reading A Mad, Wicked Folly soon too, it sounds awesome. My interview with Danielle is HERE, I hope you can stop by!